I wasn't the brightest pupil in my class. My IQ was nowhere near Commander Keen's smashing 314. And after all these years, I'm still not closer to Jayne Mansfield's 163 IQ. I like to blame it on the old monitors. They were very dim. 1. Music. 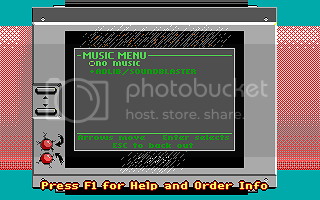 I never knew Keen Galaxy had music. I could have checked the Configure menu, but back in 1997 I barely knew how to save my progress. The "Esc" key was billions of miles away on the other side of the keyboard. We also had problems with the sound speakers, if I recall correctly. 2. Slugs shoot darts out of their antenna's on Hard Mode. This was very bizarre, but I found myself dying mysteriously on Hard. I concluded therefore it was the slug's antenna. Why? I don't know, but I could have sworn a dart come out of that antenna! I thought that was the point of the Slug having two different stunned sprites. If the antenna pointed outward, watch out for darts. If the antenna pointed downward, no cause for fear. 3. Poison Slugs and Sleeping Slugs were two entirely different creatures. It was only when I began modding and inspecting the tilesets that I realized that brown thing with the yellow stomach in the wall was a Poison Slug. Embarrassing, but let's just say I didn't understand shading when I was 5 yrs old. 4. Keen has big lips. Yeah... Don't know what I was thinking. Whenever Keen opens his mouth, I expected to see his teeth. But instead of teeth, there's this patch of red. Those have to be his lips, right? There was no Pit to be seen. 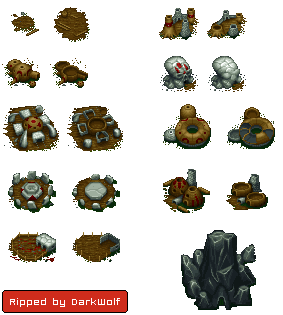 That chunk of brown and black pixels looked more like a Farm building from Warcraft 1 to me. 6. What is Keen Waving at? This one also took closer inspection for me to realize that Keen is waving at me (or you), the player. Initially I thought Keen was facing the other way. I suppose I couldn't make out the white pixels of his face. If those pixels were filled in with yellow, it would look like the back of his helmet. I thought that was the objective of the level. Once Keen collects them all, something magical would happen. I wasn't too far off, but I never suspected it was the Inchworms who really held the secret. 8. In order to cheat, you have to be in the BWB Megarocket level. I never was very successful in Keen 4. God Mode would have been a big help. But I couldn't remember what the key combination was. And even if I did, I'd have to travel all the way back to the BWB level just to activate it. 9. Keen drives the BWB Megarocket to the Forbidden Pyramid. Not a chance. The Megarocket wouldn't take off no matter what I did. Eventually I came up with other theories, like somehow Keen was able to make a few trees disappear and gain access to the pyramid. Oh well. I heard the level was impossible to beat anyway. Giant flying feet? Don't be silly. When Keen dies, that's his skull. Where did his skin go? 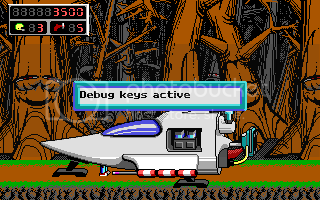 It took me several years to find out Keen 4 was in EGA and not CGA only. It took several more years to find the Foot, I did it because I was bored. I really expected the Shikadi to be more shadowy, the ending SAID they were shadow beings! I thought you could reach and stun the napping slugs. I was cured of #5 just now. Even knowing what it is, it's still hard to see as a pit. Heh, 3,5,6 and 7 were all true for me, the foot I discovered after getting VERY bored and trying to get as many inchworms together as possible. For a long time I tried to get to the Forbidden Pyramid (the "hand pyramid", as we always called it) through one of those grassy gaps between the trees and mountains. Not sure how I thought that'd work. I always thought the Perilous Pit looked more like a bee's nest than a pit. When I read that Robo Red "shoots first and asks questions later" I totally thought being killed by one would lead to a story sequence where Keen is being interrogated by Robo Red. (I hadn't heard the phrase before, you see.) Was disappointed when I finally reached a level with one and that didn't happen. That said, it was ages before I got that far because I had no idea how to jump down in the security center. I looked all over the place for a switch or something that would make a pole appear. It was totally by accident that I learned the trick. Those underground slugs are shaded ambiguously, and indeed I always thought the yellow part was a smiling mouth. Still looks like that to me. The french fries are totally bananas. My sister and I thought Vorticons were coyotes. Gnosticene Ancients were fish and Ceilicks were whales (or whaley things.) EDIT: Oh yeah and my sister called Robo Reds greenbutts! I thought Three-Tooth Lake was that aquifer in the Lifewater Oasis, and that I got to it from Miragia somehow, or at least used the swimsuit to swim around down there. Should've been more explicit, Lindsey. Yeah, the worm secret was found through sheer boredom. "How funny would it look with all those worms clustered together?" For some reason I thought that the Bloogs were those little glowing orbs everywhere in Keen 6. It seemed right somehow. Also, I always called pat-pats "olive things" because the "die" signs looked a bit like they said "oil", and olive sounds vaguely like oil. I guess. Last edited by StupidBunny on Wed Dec 04, 2013 5:14, edited 1 time in total. In Keen 2, Vorticon Elites were bears. Scrub hands have always appeared to me as sprockets. I had heard about Keen Dreams initially from a friend, and what I imagined was far different than what it actually was. Maybe I'll sketch it someday, the image is pretty vivid even now. Think of realistic, big brown potatoes with no real features just kind of wondering around on legs and you get the idea. A kid at school said robo red could be killed by shooting the green area on the bottom a lot. Needless to say, I wasted a lot of time. Little Ampton arms have always appeared to me as a large snout when walking left or right. Like I imagine every other kid, I thought Vorticons were dogs... I mean, come on... They're freaking anthropomorphic dogs. I'm with StupidBunny and Ceilick in that my sister and I tried every way to reach "the hand pyramid". I was so frustrated and confused when the creases between the mountains and the trees didn't work. I think my uncle showed us the pyramid of the forbidden at some point, but we forgot how to get there. For some reason, we also thought it was possible to kill inchworms by pogoing. Man, I had a huge long post written for this thread earlier, but somehow I lost it, and a lot of other old misconceptions with it. Ah well. Hmmm. Well when I first opened Keen1 and started a new game, I sighed and went "Oh well, so it's not a platformer after all, what a shame". Then I walked over to the first big blue "spaceship" (as I always thought of it) and thought "Well it says press CTRL to jump, so I'll just jump over this thing and see what lies beyond". The rest, as they say, is history. 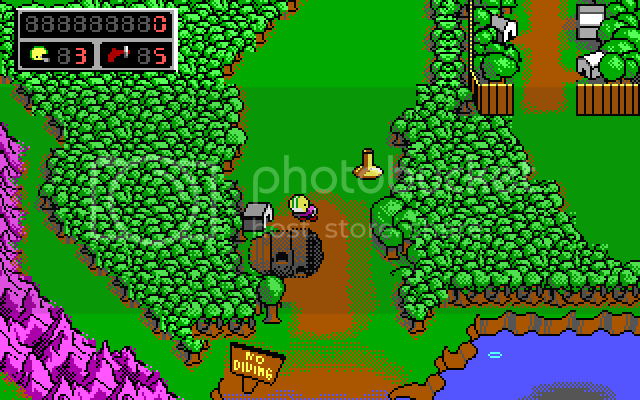 When I first saw a screenshot of Keen4 online, it looked so vivid and 3d to me, that I said "ugggh that looks horrible, they've gone and ruined Keen, typical, I'm never playing that". When I downloaded Keen6 demo, I thought that by Demo it meant that it would play the whole of Keen6 for you, without any user input. This was not the case. And yes I thought the Vorticons were some kind of dogs. When I got to the Vorticon commander, I didn't notice the rope. When I realised that 4 shots didn't do the trick, I assumed that it couldn't be killed, so the objective was to make your way through its enclosure without it killing you. And make sure you got the bottle before exiting . Wow you guys were pretty clever to discover the foot yourselves. I found out about how to do it on the internet. Ceilick wrote: In Keen 2, Vorticon Elites were bears. I remember thinking that the elite was 2 different enemie in keen 2 because the previews in keen 1 showed a dead elite sprite. I think there are many (including me) that mistook the perilous pit for a beehive type building. Same, it looked like some kind of log or hive to me. The perspective still looks a little funny to me. Same with some of the pits/cliffs in Keen 6. In keen 4 I was terrified of licks and had no idea that only their fire killed keen. Also same. I'll admit, I always played these games with god mode on when I was young, so it wasn't until a few years ago I discovered that only the fire was deadly. I used to be fascinated with a few levels in the game, especially Cave of the Descendants and Pyramid of the Forbidden. I remember discovering all the secret areas in the CoD, and I kept thinking there were more secrets I missed. And I always thought of PoF as a place with a bunch of deathtraps, because with god mode and jump cheat there are multiple places you can get stuck in the level as a result of clipping oddities. Of course, once I discovered no clipping this wasn't so much of a problem. I think the biggest misconception for me was the final level of K6. I had never gotten past the part with the multiple doors, so I had given up for a long time and thought maybe it was a fake level and K6 couldn't be beaten (the fact that you could walk through it on the world map didn't help). I started thinking there was some super secret order you had to walk through the doors, so I started trying out going through the doors in as many combinations as possible (I think I did it close to 50 times, and still nothing). Then I accidently discovered my biggest keening holy grail when I landed in the next area. I had no clue how, but it was probably the most exciting keen moment I ever had. I'm still baffled as to how it took so long to find the right door. Man, nothing beats the level of intrigue I had when I was young and these levels seemed so strange and amazing. EMERALD CITY IS A F***ING CACTUS!!! I STILL SEE IT TO THIS VERY DAY! The TREASURY IS A TURTLE! Stuffed Vortininjas were BUNNY RABBITS! I used to think the strangling vines were "grass", pat pats were, for some odd reason, flue caps http://www.directflues.co.uk/components ... 7e873a.jpg, and yes, the Perilous Pit does not look much like a pit at all. Like many others, I thought it was a house... Only I thought it was a house made out of a barrel or something, and the holes in it were doors/windows. 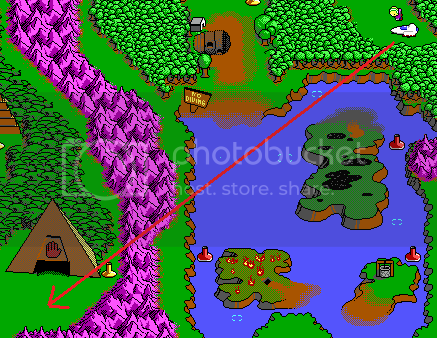 It wasn't until I discovered the Keen wiki that I made the connection between the name and the world map graphic. Have to agree with a few of those. StupidBunny wrote: When I read that Robo Red "shoots first and asks questions later" I totally thought being killed by one would lead to a story sequence where Keen is being interrogated by Robo Red. (I hadn't heard the phrase before, you see.) Was disappointed when I finally reached a level with one and that didn't happen. That... that could be done! StupidBunny wrote: That said, it was ages before I got that far because I had no idea how to jump down in the security center. I looked all over the place for a switch or something that would make a pole appear. It was totally by accident that I learned the trick. Ceilick wrote: In Keen 2, Vorticon Elites were bears. Scrub hands have always appeared to me as sprockets. Always saw them as very doggish myself. Keen 3's ending didn't help. Yep to several of those. 'Wow. This guy doesn't die.. wonder why it said I need the raygun? maybe it slows him down? IT WORKS! He jumps when shot, I can sneak under him and get the bottle! Man this is hard! I'm going to blast this guy with all my ammo because I hate him so much. I DISCOVERED THE SECRET WAY TO WIN! As one of those kids who only played in God Mode, I never really paid much attention to hazards and stuff HOWEVER I always thought for some reason that tar could kill you in God Mode. I was terrified of that island! When I was at someone elses place with a bunch of other kids we played keen 2 and they said about the vorticons elites they are bears.. And when keen got stunned by vortikid They said its because you (keen) are a robot and your stunned because your batteries run out and the vortacola they said were batteries too keep you charced. I'm not sure if I beleived it but stil this were misconcaption people had. 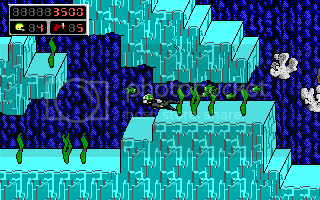 Also later I was playing keen1 and showing it to a friend and I said this is how to knock a yorp unconscious and he said no it doesn't look like hes unconcious he's just in a lot of pain. I stil don't know who is right about that one. Wow, how did I not see that?? I thought it was some type of building which makes no sense since theres no building that looks like that in the level. Last edited by Bloogbae on Thu Dec 05, 2013 5:40, edited 1 time in total.